AtlasIED Wins 2019 Best of ISE Award from rAVe Pubs for IPX Endpoints | KMB Communications, Inc.
Phoenix, AZ – (April 2019) – AtlasIED’s IPX Series of Endpoints recently won a 2019 Best of ISE award from rAVe Pubs. Hailed as the Best Security Product in the category of Digital Signage and Public Spaces, these third-generation, IP-enabled solutions ensure quick and efficient notification through audio and visual messaging. Now available for projects worldwide, the system takes full advantage of existing voice and data networks while preserving the convenience of VoIP phones to cover important areas that a VoIP handset alone cannot. To learn more, watch this video: https://vimeo.com/283069128. A global electronics manufacturer providing comprehensive audio solutions for commercial, corporate, educational, healthcare, retail, transportation, and government environments, AtlasIED brings together the legacy, engineering skills, and legendary service of Atlas Sound and Innovative Electronics Design. 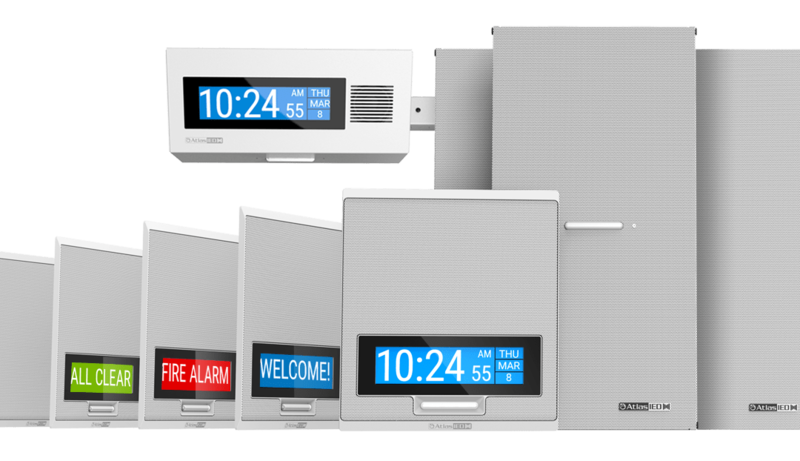 Offering industry-leading mass notification, life safety, VoIP, background music, paging and sound-masking systems, AtlasIED delivers product lines that span wide and deep, with more than 2,000 innovative audio solutions for businesses of every size. Combined, Atlas Sound and IED products have been installed in more than one million businesses over the past 80+ years. With nine locations and a network of manufacturer representatives and distributors around the world to provide superior support to dealers, and customers, AtlasIED’s customer service is an industry benchmark that competitors strive to match. AtlasIED is family-owned, with manufacturing operations in the United States that hold an ISO9001:2008 Quality Standards Certification to ensure consistently high-quality products, service, and support. Learn more at www.atlasied.com. Follow AtlasIED on Facebook, Twitter, Instagram, and LinkedIn.